Illinois had a net loss of more than 49,000 people and nearly $2 billion in annual income in 2010. Only New York lost more people and income. Illinois loses one person every 10 minutes. That’s because for every four people who leave Illinois, only three enter. The Illinois exodus is a stark reminder that policymakers should consider why people are leaving the state, and where they’re going. 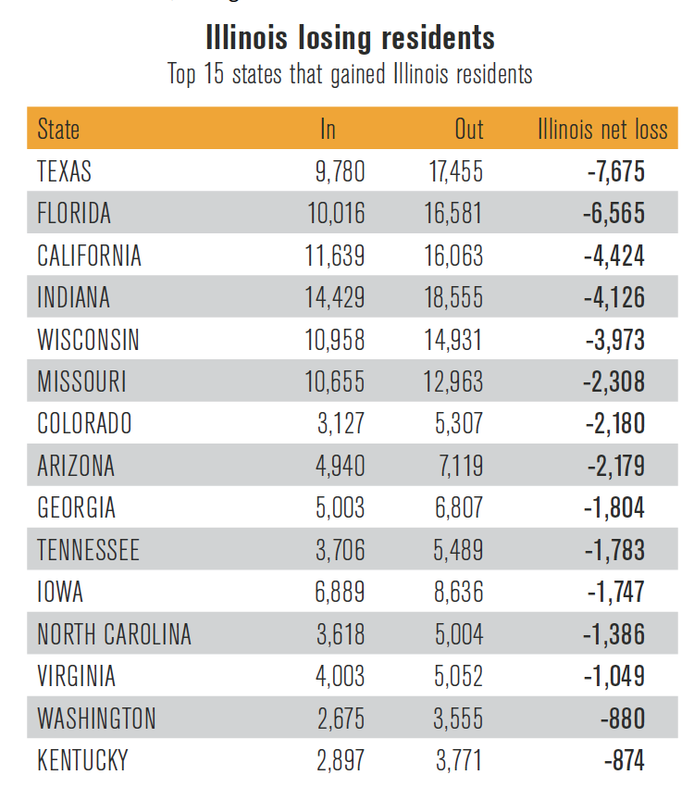 Illinois’ biggest losses were to Texas and Florida, both zero income tax states. But it’s not only income taxation that drives people out of Illinois. Residents moved to states where union membership is 43 percent lower, death taxes are 71 percent lower, housing costs are 15 percent lower and temperature are 20 percent higher. In 2010, Illinois had a net loss of people to 42 states. The top 15 states that gained Illinois residents included all of Illinois’border states, along with four states that don’t tax income. But policymakers have not taken the hint. In the spring of 2014, Illinois lawmakers attempted numerous tax hikes and political maneuvering ahead of fall elections. While politicians scramble for short-term fixes, businesses and families continue to vote with their feet. New data from the U.S. Census Bureau, also covered in this report, indicate that out-migration accelerated starting in the 2011 tax year and has remained constant ever since. • Illinois lost people and income in 2010, the most recent year of IRS data. Illinois’ net loss was 49,142 people and nearly $2 billion in annual income. The largest net loss of people was to Texas. The largest net loss of income was to Florida. • Illinois has lost people and income in every year from 1995-2010. The state sustained a net loss of 855,196 people and $35.4 billion in annual income from 1995 through 2010. The top states that gained people from Illinois during this time period were Florida, Indiana, Wisconsin, Texas and Arizona. 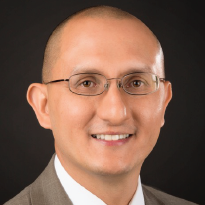 • Illinois is losing the “border wars.” In the 2010 tax year and over the 16 years of the study, Illinois lost people and income to all five of its neighboring states. • State and local governments lose billions in tax revenue due to out-migration. State and local governments lose $6 billion in annual tax revenue as a result of the 16 years of out-migration highlighted in this study. The compounded loss of tax dollars over 16 years is $52 billion. • Out-migration has accelerated. U.S. Census Bureau data, which provide a broader view of out-migration, show that the loss of people due to net out-migration increased from 60,000 in 2010 to 70,000 people in 2011. The number of people migrating away from Illinois has remained constant at an elevated level since then. J. Scott Moody is currently CEO of State Budget Solutions, a national think tank focusing on state pension reform and state dependency on the federal government. Dr. Wendy Warcholik is an economist trained in applied microeconomics and econometrics. She has worked as a consultant to free-market think tanks across the country for the past seven years.